Real-time hybrid simulation evaluates the response of a structure in real time. 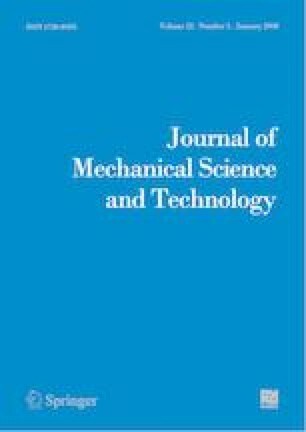 In this study, a building with multi-story structure is divided into numerical and experimental substructures, and the vibration behavior of the experimental story is studied among the real-time simulation of the other stories. For applying the effect of static and inertial forces produced by the other stories to the experimental story, an electrohydraulic actuator and a shake table are used, respectively. The dynamics of the electrohydraulic actuator and the shake table can be estimated entirely by time delays, and these delays in the loop of simulation can reduce accuracy and cause system instability. Therefore, a delayed differential equation is used to determine the critical time delays depending on the system parameters. Results of simulation show the effect of non-dimensional parameters and time delays on the stability margin of hybrid simulation. Mostafa Nasiri received his M.S. in aerospace engineering from Sharif University of Technology, Tehran, Iran, in 2002 and his Ph.D. in mechanical engineering from Iran University of Science and Technology (IUST), Tehran, Iran, in 2012. Since 2013, he has been Assistant Professor of mechanical engineering at Golpayegan University of Technology (GUT), Isfahan, Iran. His current studies include flight control and simulation, jet engine control systems, automation, hardware-in-the-loop simulation, real-time hybrid simulation, networked control systems, and time-delay compensation of delayed systems. Ali Safi received his B.S. in mechanical engineering from Golpayegan University of Technology (GUT), Isfahan, Iran, in 2018. At present, he is an M.S. student of mechanical engineering at Iran University of Science and Technology (IUST), Tehran, Iran. His research interests are mechatronics, automation, and control.